Vets All Natural Joint Formula is specifically designed to provide nutritional support for maintaining the health of your dogs joints. It contains shark cartilage powder, green lipped mussel, flax seed, vitamin C, dolomite, copper, sulphur, boron and ginger. 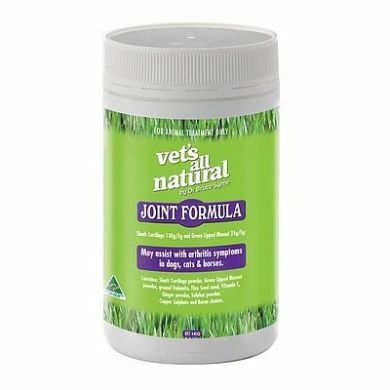 The Joint Formula is specifically provides nutritional support for maintaining and assisting repair to damaged joint surfaces, tendons, and ligaments. It strengthens bony tissues, and provides natural pain relief for dogs. 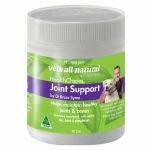 Read 1 customer review of Vets All Natural Joint Formula. The average customer rating is 4. 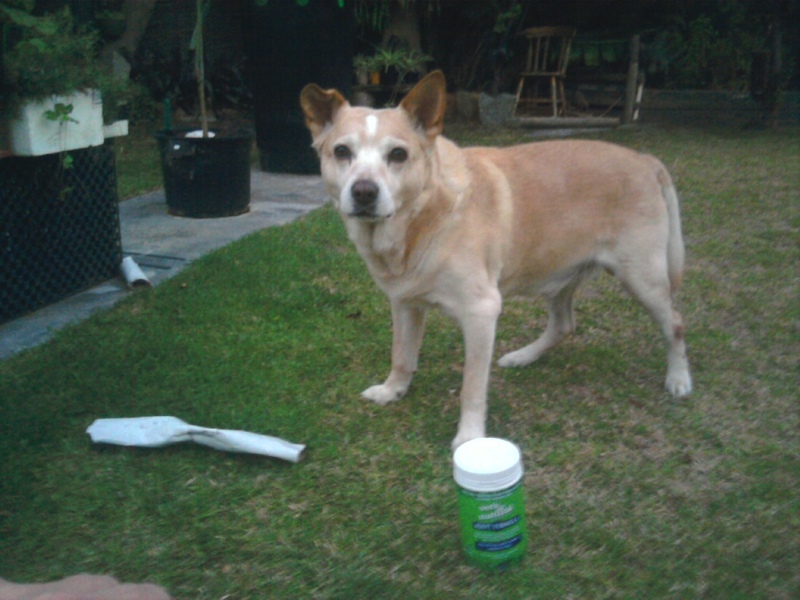 Its great to see the difference in our dog since he has been on the formula. He is no longer getting stiff & limpy and now is more active again. 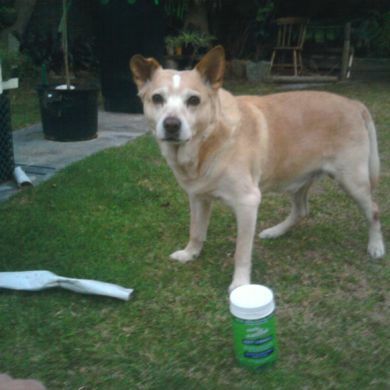 Definately a much happier dog again & we will keep using this product.